The continued detention of 16-year-old Palestinian Ahed Tamimi demonstrates that Israel is not the democracy it claims to be, activist and co-founder of Code Pink Medea Benjamin told Radio Sputnik’s By Any Means Necessary. This week, an Israeli military judge ordered that Tamimi be held in custody until her trial. Tamimi was arrested last month after a viral video of her slapping two Israeli soldiers was widely circulated by media sources. "I found no alternative other than to order her detention in custody until the end of proceedings," the judge ruled Wednesday. "The gravity of the offences of which she is accused does not allow an alternative to custody," the judge added, the Guardian reported. "Israel is one of the few countries that calls itself a democracy and yet keeps children in indefinite detention, which is like the case right now with Ahed Tamimi, who is being kept in custody before her trial even starts," Benjamin told hosts Eugene Puryear and Sean Blackmon. Tamimi has been charged with 12 counts, including assault, stone-throwing, incitement of violence and making threats. She could spend a considerable time in jail if convicted. Tamimi's family reported that the December 15 incident took place in the backyard of their home in Nabi Saleh, in the West Bank near Ramallah. 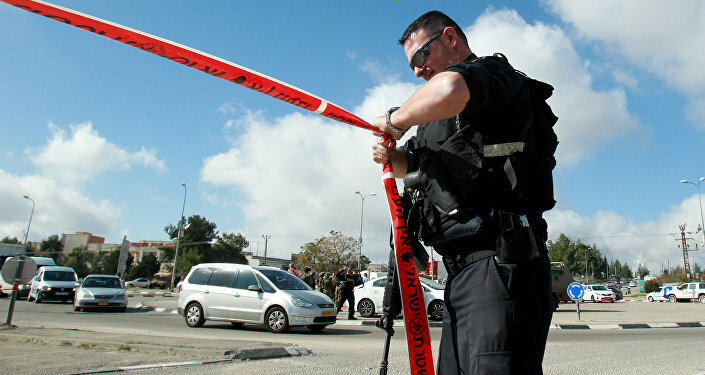 Israeli soldiers were patrolling the area to prevent Palestinians from throwing stones at Israeli motorists. The incident, which was live-streamed on Tamimi's mother's Facebook account, shows the teenage girl walking toward two soldiers and telling them get out before kicking, shoving and slapping them. The Israeli soldiers did not react and Tamimi's mother is then seen intervening. A few days later, Tamimi was arrested during a night raid by Israeli forces. "We have been working on this case and, fortunately, have been able to get groups like Amnesty International to call for her release. We are now setting up meetings with Congresspeople to denounce the Israeli government for detention of a juvenile and I think her case has gotten worldwide attention because of the videos going around," Benjamin said. Amnesty International has urged Israel to release Tamimi immediately. In addition, the UN Office for the High Commissioner for Human Rights has condemned Israeli authorities for their actions. In a statement this week, the UN Office wrote that the "deprivation of liberty of children shall only be used as a measure of last resort and for the shortest appropriate period of time and the best interests of the child are to be a primary consideration." "You think they [Israeli officials] would understand the optics of having a 16-year-old girl being treated like that in shackles and appearing in court and that they would, at the very least, have her released until her trial comes up. Israel can't have it both ways. They keep saying, ‘we are the only democracy in the region' and then you have this very clear example of ‘preventive detention' of a teenager, saying that this girl is somehow ‘dangerous' to the Israeli state. She has become an international icon and so the Israelis aren't doing themselves any favors by the way they are treating her," Benjamin added. Tamimi was reportedly upset at the time of the incident because her 15-year-old cousin had been seriously injured after being shot in the face with a rubber bullet during a recent protest. "Yes, she did slap a soldier but let's look at what the soldiers have done to her family and her village. Using her bare hand as a teenager to try to show her outrage against having Israelis in her home and in her village is something that has resonated with people around the world. There is tremendous support for her. Her 17th birthday is coming up on the 30th and there will be birthday parties in her support all over the world including right here in Washington, DC." 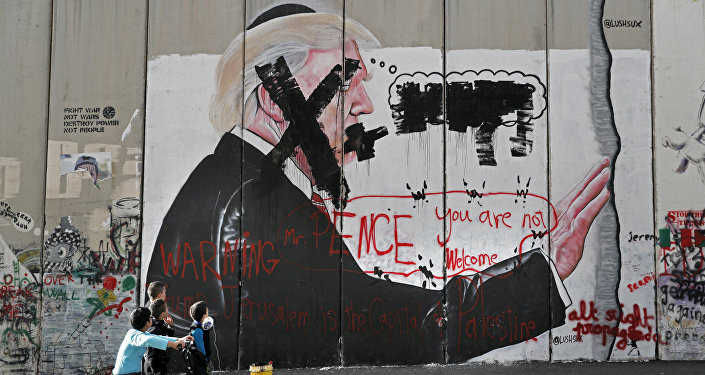 Ever since US President Donald Trump's controversial recognition of Jerusalem as Israel's capital in December, clashes between Palestinians and Israeli forces have increased. Since Trump's declaration, 17 Palestinians have lost their lives as well as one Israeli.